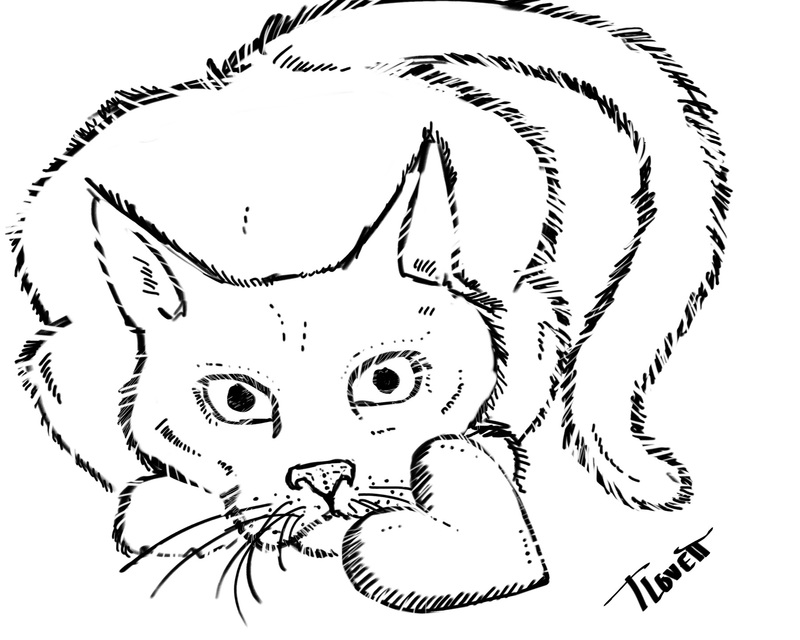 Just finished this line drawing for Soda’s Valentine, and I think it makes an excellent coloring page! So, I’m posting this afternoon. This illustration will be in the new book as well, but I will probably alter it a bit….